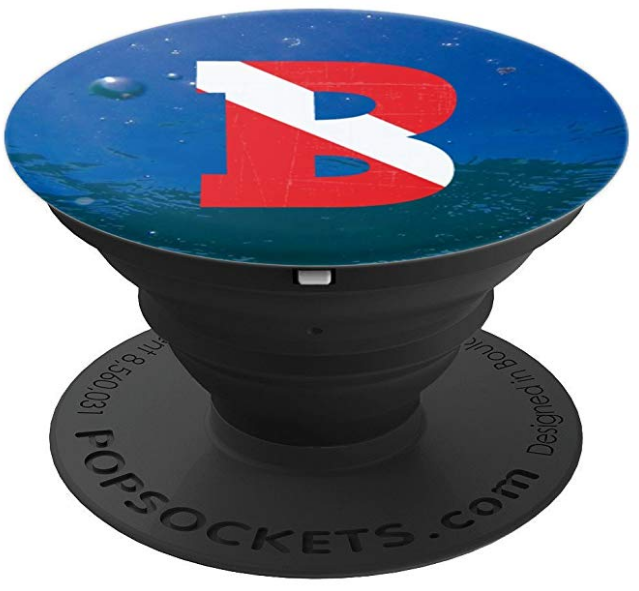 We are happy to announce our line of scuba diving PopSockets! These are a fun and practical way to show your love of diving. They are collapsible grips for your phone or tablet. Using it as a phone holder grip makes it easier to text, call and take photos - including those humorous selfies. The grip expands so you can use it as a stand when you watch those underwater videos, take group photos or want to use the phone handsfree. Have fun looking through our collection of scuba diving PopSockets! This is the classic shot. 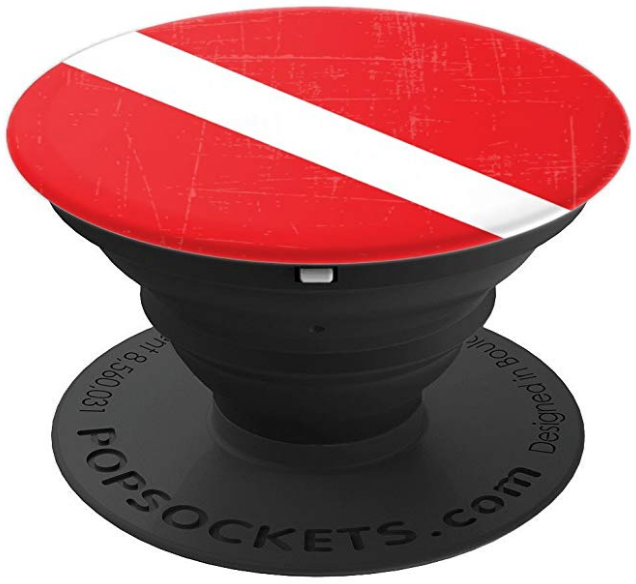 A simple dive flag but one PopSocket that says alot. The dive flag has a distressed look. Anyone that sees this on your phone or tablet will know what your passion is. We know we love to go diving any chance we get. Let's have fun and admit it with this Scuba Addict PopSocket. Be proud of your passion! You are an amazing scuba diving mother. Personalize your phone with with your two loves - diving and your children. 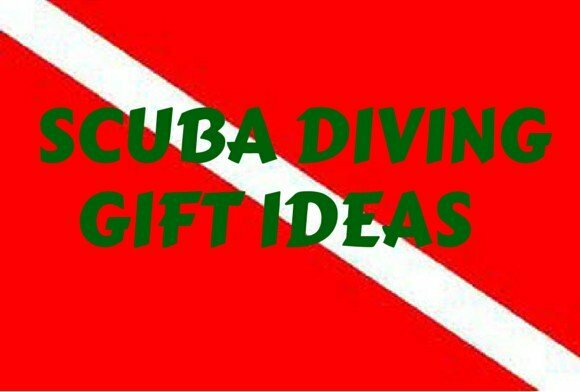 Also makes a great gift for any scuba diving mom. Way to go Dad. Is there anything better and a scuba diving Dad? Extra special if you can dive with your children. You are a cool Dad so let's show it with one of these scuba diving PopSockets. Our phone grip with initials sports the dive flag against a water background. There is a PopSocket grip for each letter of the alphabet (just click on the link below for the letter you want). This is a unique way to identify your phone and your passion at the same time. Because even when we aren't diving, we are usually thinking about it. Have fun with these. 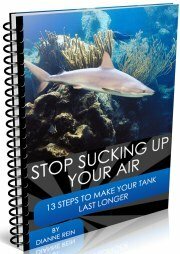 Are you a shark lover and/or have a shark lover in your family? 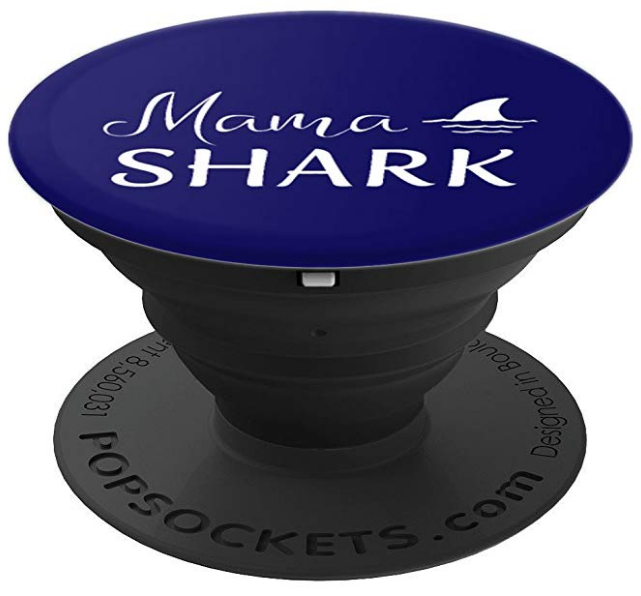 This is a fun way to show your love of sharks and love of your family. We have Papa Shark, Mama Shark, Brother Shark, Sister Shark, Grandma Shark and Grandpa Shark ( we can also customize one if you like, just contact us). Have fun with this collection! It's Simple Really: Live, Laugh, Love, Dive! 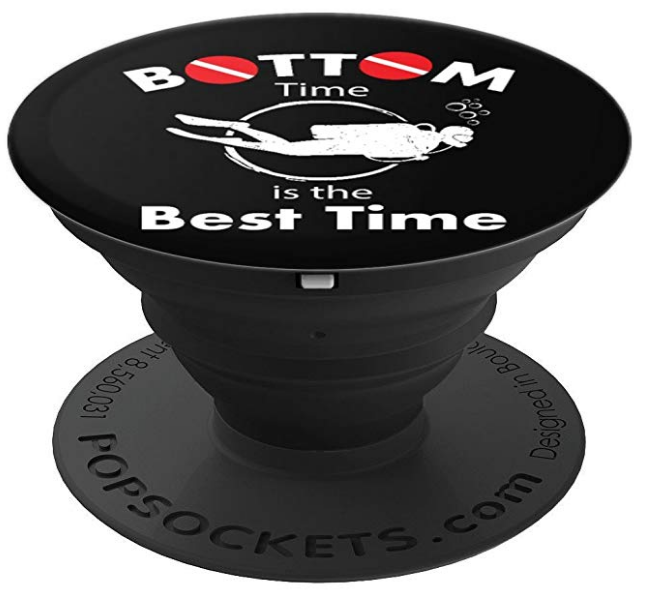 This scuba diving PopSocket says it all doesn't it. 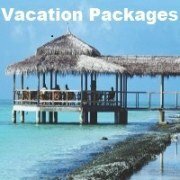 There really isn't much more that you need to do in life (we will skip work for the time being :) ). So go live life happily and dive! Why yes, yes it is. What better time is there than time spent exploring the beautiful ocean? 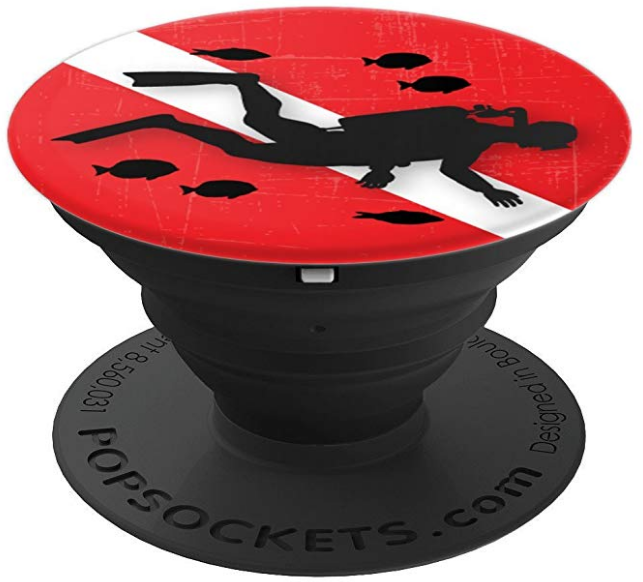 Bring yourself back in the water when you look at this fun scuba diving PopSocket. A nice silhouette of a scuba diver and fish with a dive flag backdrop to let you daydream your way back underwater. 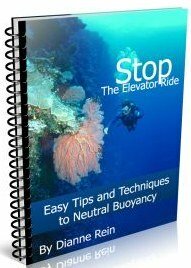 This is sure to bring some smiles and laughs from your fellow scuba divers. 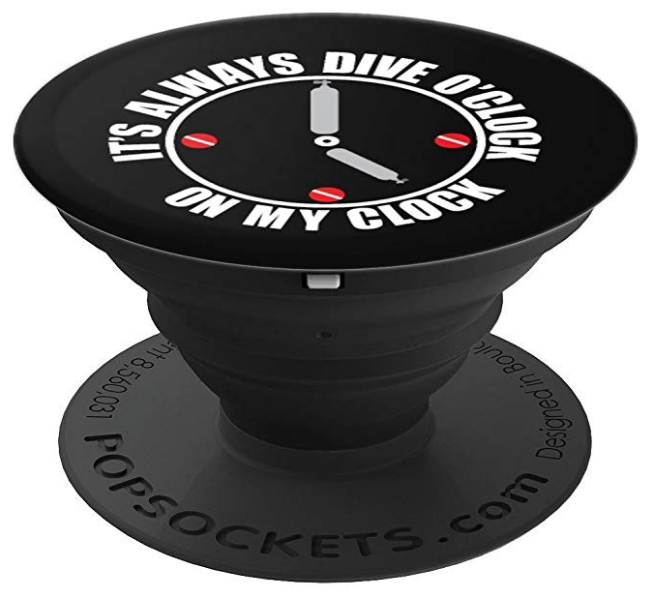 It's always dive o'clock on my clock. And isn't that the truth? The clock has scuba diving flags and dive tanks on the clock face. 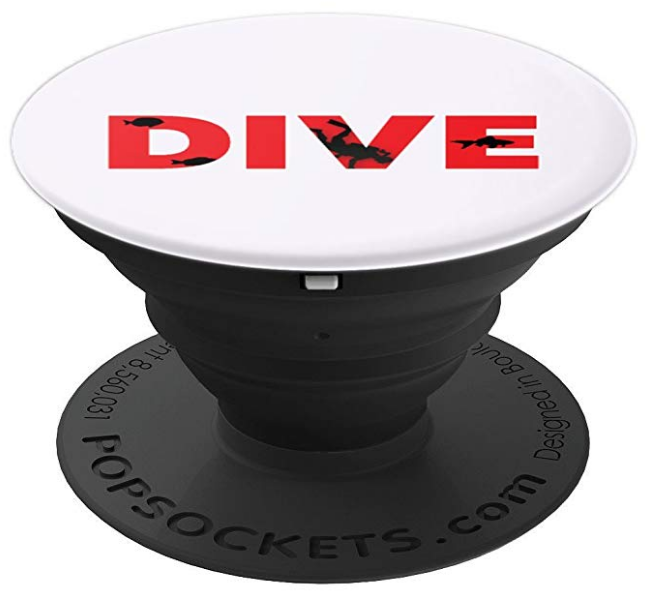 Show your love of diving with this classic themed scuba diving PopSocket. It shows a diver descending with fish swimming along. Thinks of yourself starting a dive as you look at this grip. Who Says Money Can't Buy Happiness? I Pay For My Dives! 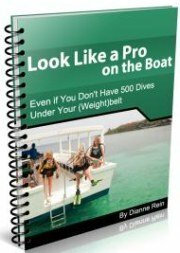 One thing that diving isn't, which we all know, is cheap. 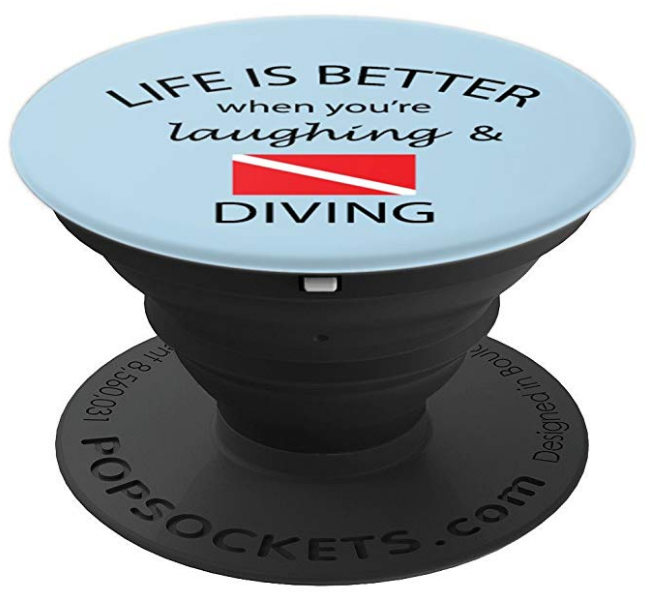 But we can have some laughs about it with this funny scuba diving PopSocket. 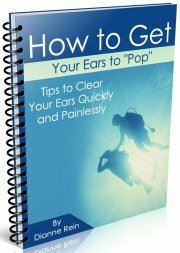 Any diver that sees it is sure to agree. 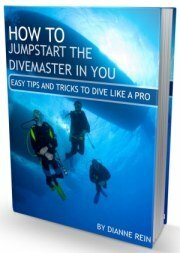 Are you one of those unique divers that have a beard? Have your special tricks to get a good seal? 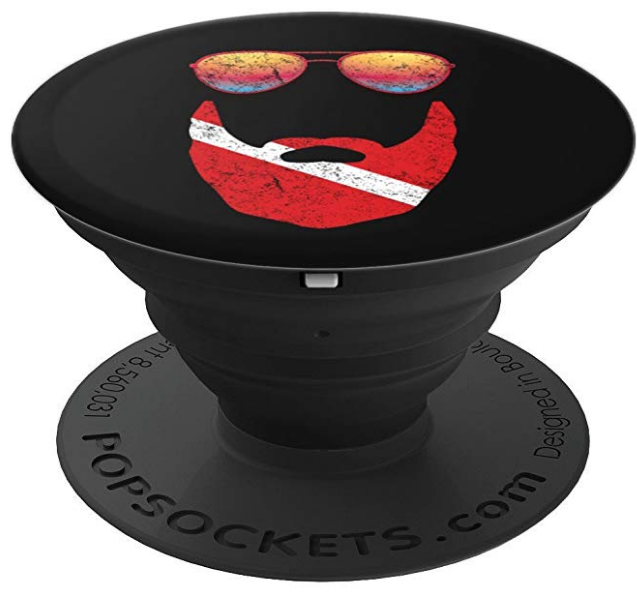 Show your uniqueness with this scuba diving PopSocket that has the pattern of the dive flag on the beard. All in a distressed look. Have fun with it and beard on. Let's spread awareness for these beautiful marine animals. One of my favorite animals to watch while diving. 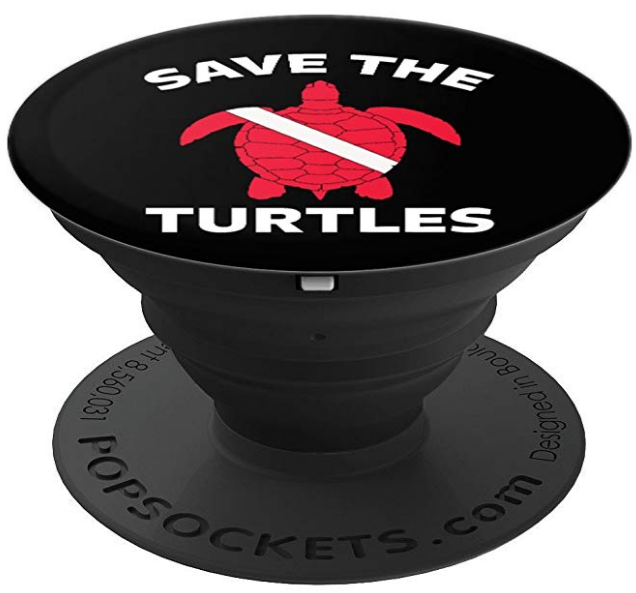 This Save the Turtles Popsocket has a graphic of a turtle with a dive flag pattern. Show people what you love. Some things are just true and the saying on this scuba diving PopSocket is one of them. Life is indeed better. 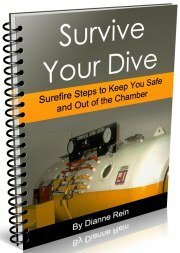 A nice one to share with your dive buddies. A twist on a classic slogan. It certainly is Dive O'Clock Somewhere. It is always time to go diving isn't it? Have fun with this one and see some smiles from your fellow divers. Some addictions are good, and this is one of them right? We will all go diving any chance we get and love the opportunity to go under again. Let's just admit our addiction to the world with this PopSocket. Dive On! So there you have it! Our collection of scuba diving PopSockets. I hope you find something you like. We will be adding more designs regularly so check back and see what shows up. If you have an idea, we would love to hear it. We are always open to suggestions - and criticisms. Thanks for taking a look. 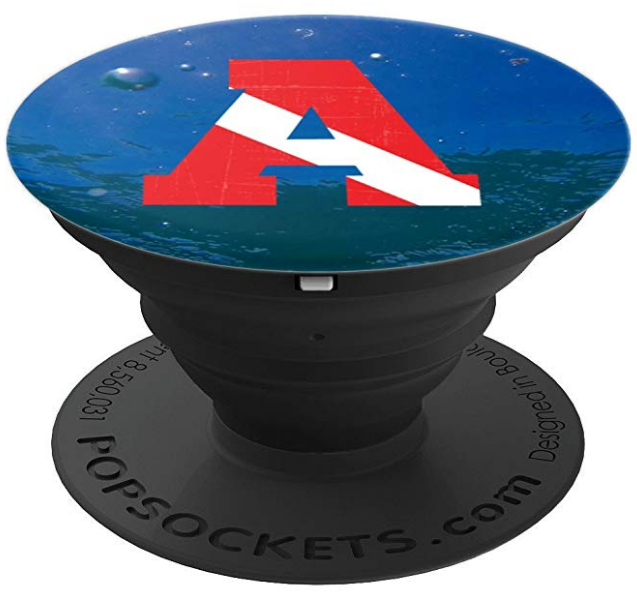 And if you buy one of our scuba diving PopSockets - many thanks and I hope you enjoy it! 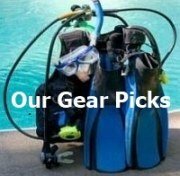 You might also enjoy our collection of scuba diving tshirts or find our list of scuba diving gift ideas helpful.